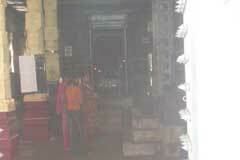 Lord Shiva is facing west and Mother South in separate shrines. 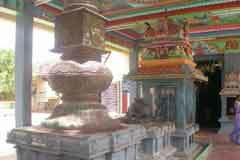 The Vimana of the sanctorum is of of Gajabrushta-Thoonganai design. The shrine for Lords Vinayaka, Subramania with His consorts Valli and Deovanai, Chandikeswara, Nataraja and Nandhi Deva are in the prakara. Celebrated Shiva devotee Poosalar Nayanar is honoured with a place along with Lord Shiva in the very sanctum sanctorum of the temple. As Poosalar ever kept Lord Shiva in his heart and worshipped Him and built an imaginary temple, many suffering from heart problems pray to Lord here for cure. 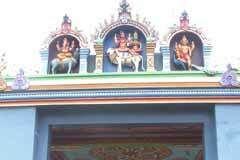 Noted Cardiologists in Chennai, Kancheepuram and Tiruvallur visit this temple praying to Lord to save their patients. The history of this temple speaks volumes of the greatness of a devotee as Poosalar Nayanar who was born in this place – Tirunindravoor. He was a worshipping a Shivalinga in the place but was sad that his Lord had to suffer both under Sun and rain as there was no roof above. A desire began to flame in his mind to build a temple for his Lord. But he was penniless. Yet, He decided to build a temple in his very heart itself. His temple had everything that a well planned temple would have. 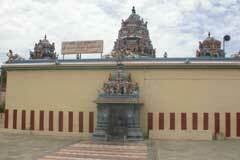 It had many facilities for the devotees. It was a temple as if constructed by great kings and the rich. Poosalar did not do it in a single day. He was not hasty. He scrupulously planned everything and built it step by step each day as it would necessarily consume some time. He completed the construction in his mind in some years with such particular accuracy, a temple according to rules should have. 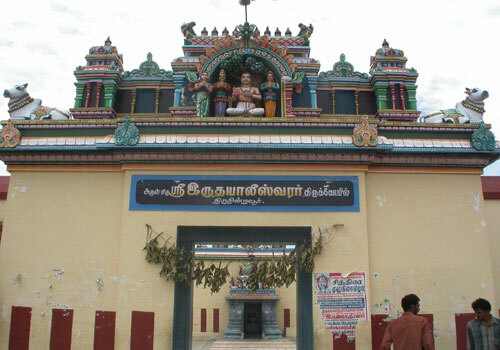 It so coincided that the completion of a real Shiva temple constructed by the Pallava king in Kancheepuram and that of Poosalar’s in his mind happened on the same day and time. 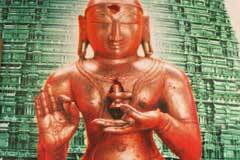 Poosalar fixed a day for the consecration of the temple which also coincided with that of the Pallava king. The whole city of Kancheepuram was in a festive mood. Lord Shiva appeared in the dream of the king and expressed his congratulations and happiness for building a temple but asked him to postpone his date of consecration as He had to be at the consecration of the temple built by Poosalar that day. The king postponed his date as directed by Lord and started immediately to Tirunindravoor. He asked the people there about the temple. They had no answer. The King met Poosalar and told him what happened. 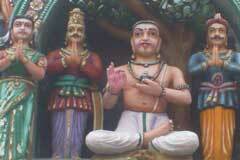 Poosalar was happy that Lord responded to his prayer and made his temple plan public. He told the king all about his temple construction and the consecration. The king understood the difference between temples constructed at a heavy cost by kings and the rich and that built by a devotee in his heart, the cost which could not be estimated in material terms. 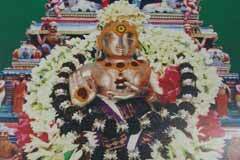 Miracle Based: It is noteworthy that distinguished Shiva devotee Poosalar Nayanar instrumental for the emergence of the temple has his place in the sanctum sanctorum with Lord Shiva. Tirunindravur is 33 km from Chennai. Bus and rail facilities are available conveniently. Nearest railway station and airport: Chennai.